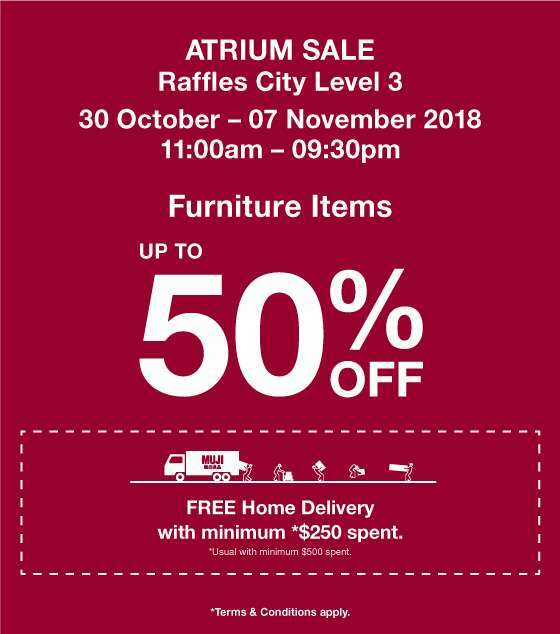 Home > Home > [Muji] MUJI Atrium Sale: Enjoy up to 50% Furniture Savings! Next: [FragranceNet] FragranceNet VIP, We’ve UPPED your offer! Now take an extra 30% off all clearance!